Coleford Town Hall and the Clocktower. 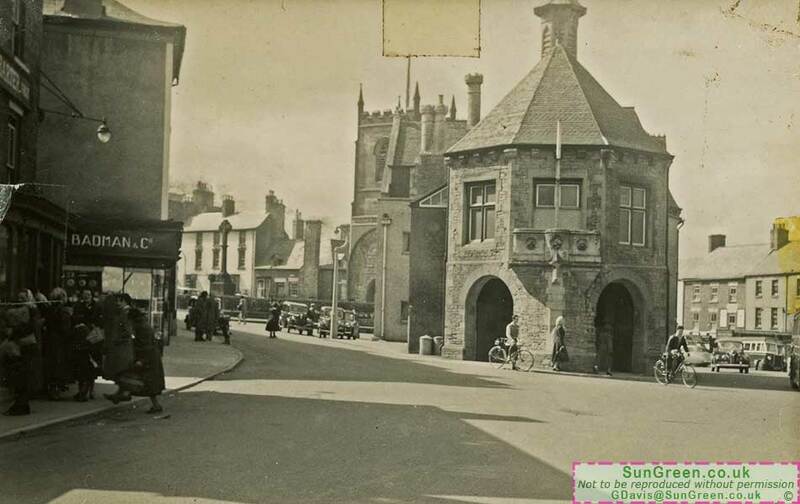 Coleford Town Hall in the 1950s. Dave Nash added: "... I see that on this day a number of people were queued outside Alan Barter the fishmonger's. Also can be seen above their heads the sign for Badman's jewellers.There were three shops in this little group of jewellers each one run by one of the brothers.The shops were in Coleford,Monmouth and Cwmbran".